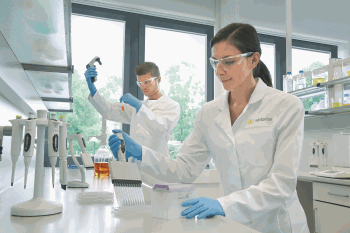 GOETTINGEN, Germany and GLASGOW, UK, January 23, 2019 / B3C newswire / -- Sartorius Stedim Biotech (SSB), a leading international supplier for the biopharmaceutical industry, announced the launch of services for new biological entities, called NBE Product Characterization. These services are offered by its subsidiary, Sartorius Stedim BioOutsource, an experienced, industry-leading contract testing organization based in Glasgow, UK, and in Cambridge, Massachusetts, USA. Caption: Sartorius Stedim BioOutsource’s testing services are fully customizable for clients to ensure their innovator drugs are tested based on the right regulatory requirements.